The Comedy Central funnyman riffed on VP Biden's sitcom taste. 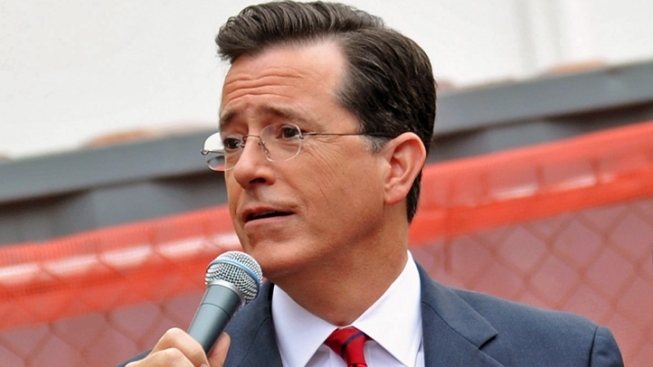 Stephen Colbert poked fun at Joe Biden's TV taste. On Sunday's edition of NBC's "Meet the Press," Vice President Joe Biden told host David Gregory that he is "absolutely comfortable" with gay marriage. What shaped that opinion, you ask? "I think 'Will & Grace' probably did more to educate the American public than almost anything anybody's every done so far," Biden said.